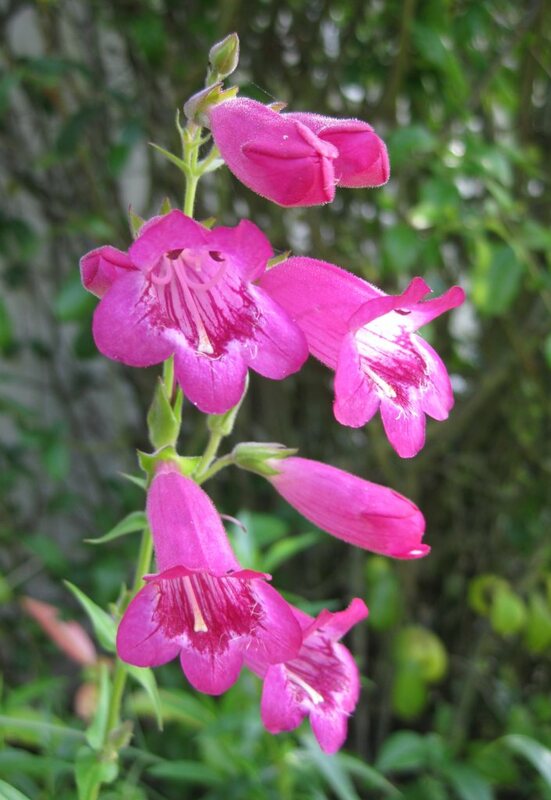 With their bells that make them foxglove-lookalikes, beardtongue – also called Penstemon – gives flower beds bright colors in summer: they bloom from May to October. Native to North America, beardtongue is relatively rare in Europe. There are over a hundred cultivars of this perennial, that grow to become shrubs or creeping vines. Shrubs are perfect for flower beds, with long lasting colored blooms. Low-lying creepers are ideal to give light cover to rocky ground or walls. Both types come in a wide range of hues, from white to red, including pink and blue. The hardiest are perennial hybrids, which are great companions to rose trees in flower beds, together with lily of the Nile, bellflower, aster, lavender… They also make great vase flowers. Beardtongue is planted in sun or part sun, in cool, rich and well drained soil. Creeping varieties are sown in pots in February-March, with cold frames or garden cloches; shrub varieties are transplanted in April-May, and grow 4 to 36 inches (10 to 90 cm) high depending on the variety. Creeping varieties need fertile and well drained soil, whereas shrub versions are fine with poor rocky ground. Penstemon is rather hardy, down to 5°F (-15°C) for the hardiest, but it doesn’t cope well with waterlogged soil. Space plants about 12 inches (30 cm) apart. Care is light: remove dead flowers regularly to enhance blooming, and cut leaves back in spring instead of winter, so that they may protect the plant over winter. Among the hardiest species, bright red tube-shaped ‘Jingle Bells’ and ‘Coccineus’ flowers stand atop taut vigorous scapes with leaves forming a rosette around their base. 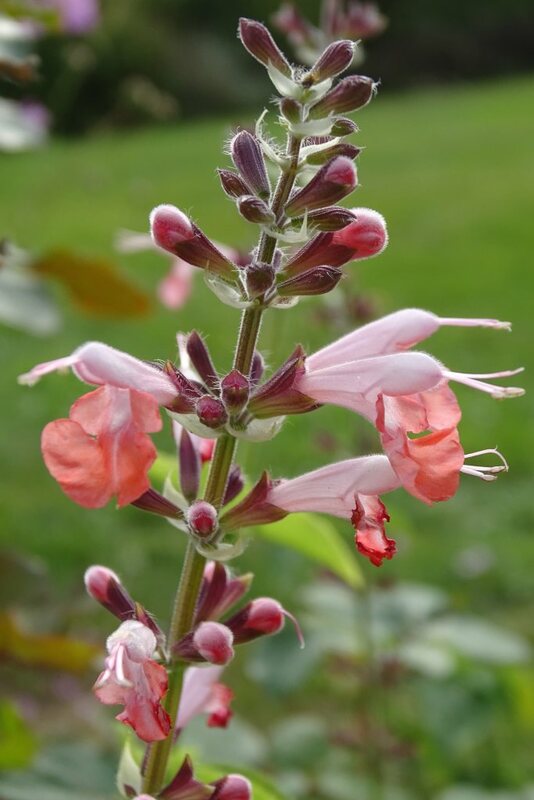 ‘Husker’s Red’ is a vigorous perennial with white flowers shaped like extended bells. If you are looking for a rocky ground plant, try Hirsitus pygmaeus beardtongue, with purple white-centered flowers, no taller than 6 inches (15 cm).